East meets West in this popular experience. Together you will begin this treatment with an indigenous body scrub to exfoliate the skin. Gentlemen will begin their experience with the Terra Timur Body Scrub, while the ladies will experience the Papaya Gentle Body Scrub. This will be followed by the classic Swedish Massage and European Facial. The Malay people have a long and honoured tradition of healing therapies. Special focus is given to the particular needs of men and women. Massages for men are meant to improve valour and virility. For women the treatments enhance beauty and improve fertility. In this couple's spa experience, gentlemen will be treated like the Malay warrior, Hang Tuah, while the women will be treated like the much loved princess, Tun Teja. A Malay family who cherishes their heritage and prepares the herbs and oils has graciously shared this treatment. We invite you to enjoy it together. Hang Tuah begins with a men's traditional Malay facial and body massage, followed by a body scrub. This massage enhances male virility. The women begin Tun Teja with a body massage and beauty scrub. Together they will then relax in a herbal bath to restore energy and relax the body. One of the most interesting aspects of this Malay therapy is the use of scented body steaming. Following the bath, both men and women will be rubbed with specially blended oils and receive a body steaming. This steaming is said to delay the process of aging. Upon finishing, the couple will sip Malay herbal tea complemented with a specially concocted traditional Malay paste. Truly you will have received the royal treatment. Using the historic reference of the herbs and plants of this region, these signature treatments have been developed specifically for Spa Village Kuala Lumpur. 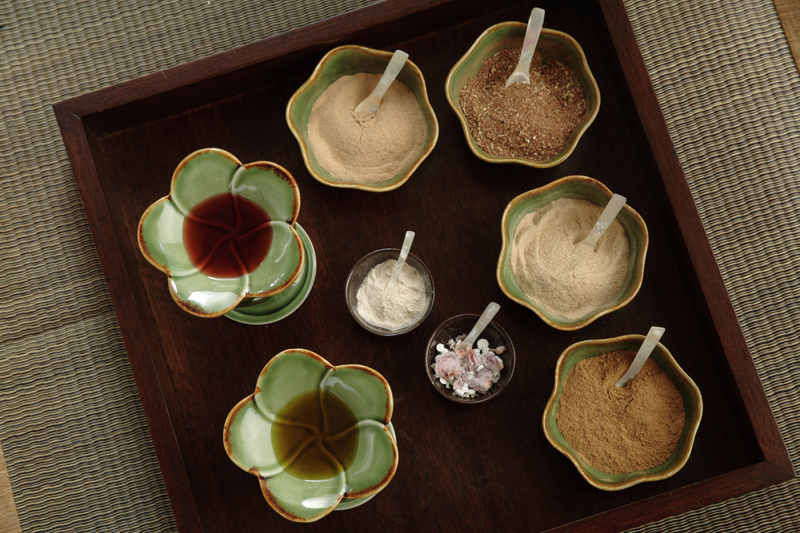 In the Nusantara Treatment, you will experience the finest herbs of Southeast Asia. We have selected the Gandapura treatment for him and Rose Therapy for her. The Gandapura treatment is designed to enhance male sensuality. Rose Therapy is for overall beautification and femininity. The gentlemen's experience begins with a rejuvenating hair treatment and papaya (carica) body masque to exfoliate the skin. Relaxing in the steam room allows the oils to be absorbed into the hair and body. This is followed by a luxurious bath and concludes with a full body Swedish massage. This therapy begins with a hair treatment of rose and lavender. A rose petal body masque is applied and left on while relaxing in the steam room. This is followed by a milk bath with roses and concludes with a full body aromatherapy massage. This treatment is a tribute to the unique culture derived from the marriage of Malay and Chinese. It begins with a Milk Nectar Meditation to calm the nerves, followed by a Pearl and Rice facial. The facial includes the Traditional Egg Undulation and Mulberry Leaf Eye Treatment. A Moxa Naval Activation to improve metabolism, ease digestion and jetlag, precedes the Rattan Tapping Qi-Gong. The treatment concludes with a custom oil massage utilising both Chinese acupressure and Malay massage.